Can I unblock a blocked Facebook User? : Unblocking and blocking someone on Facebook are interesting Facebook features that allows you to stop someone from bothering you on Facebook and as well unblock them whenever you feel like. 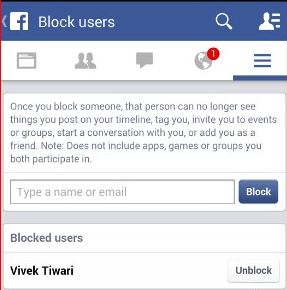 If you are using Facebook Android app to access Facebook, the option to unblock someone is also there for users. How To View Your Blocked List On Facebook.